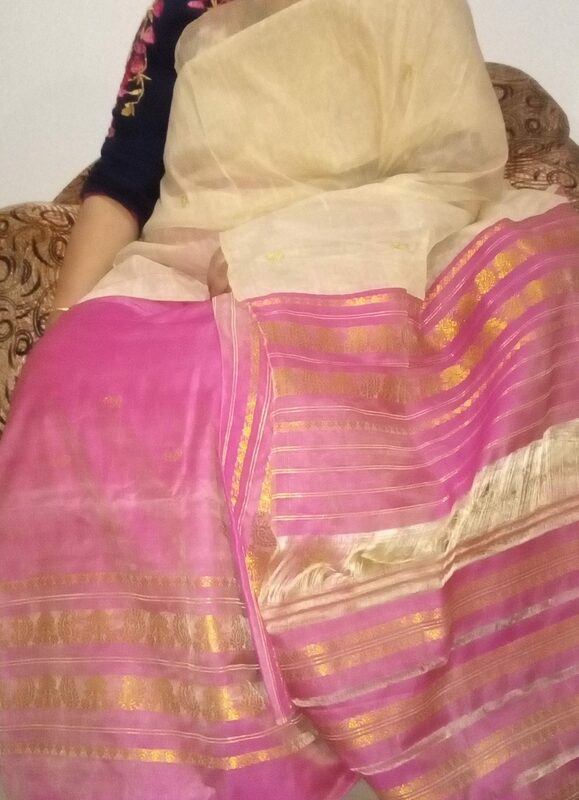 Home » Products » Woman » Mekhela sador » Nooni » Semi-nooni Mekhela Sador in Pink and Cream Colour. 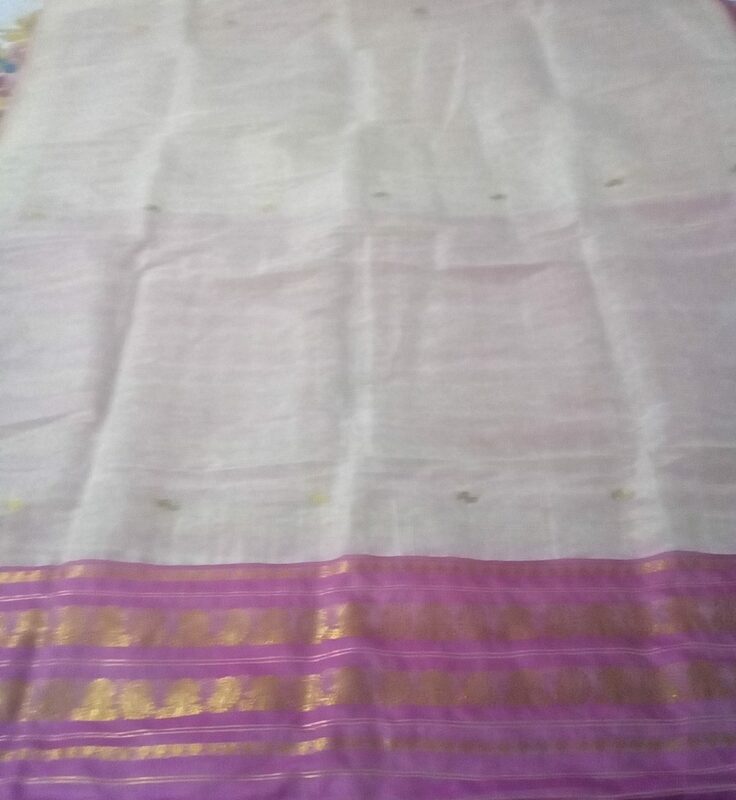 Semi-nooni Mekhela Sador in Pink and Off White Colour is available now. 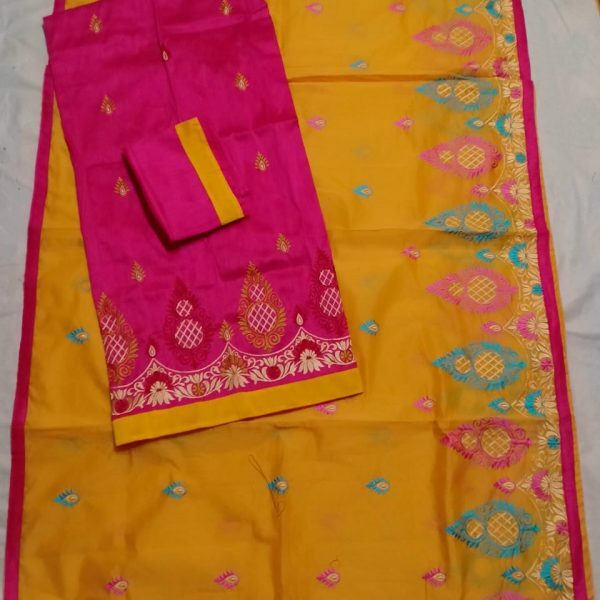 Sador’s body is in cream colour and aachal is in pink colour and Mekhela and blouse is in pink colour. 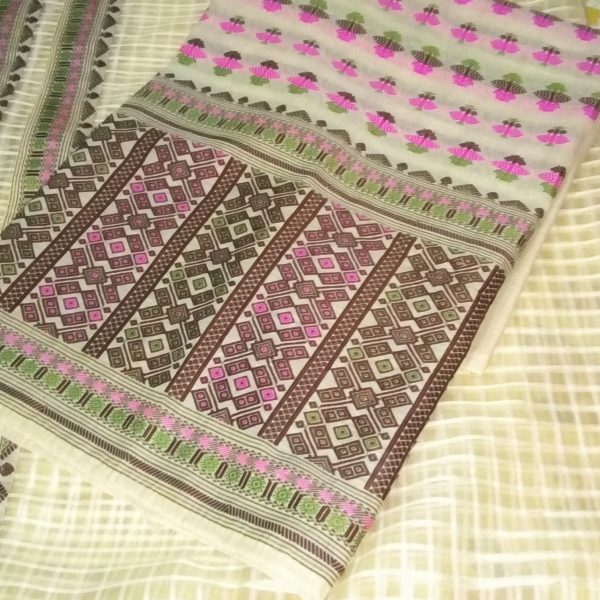 Semi-nooni Mekhela Sador in Pink and Off White Colour is available now. 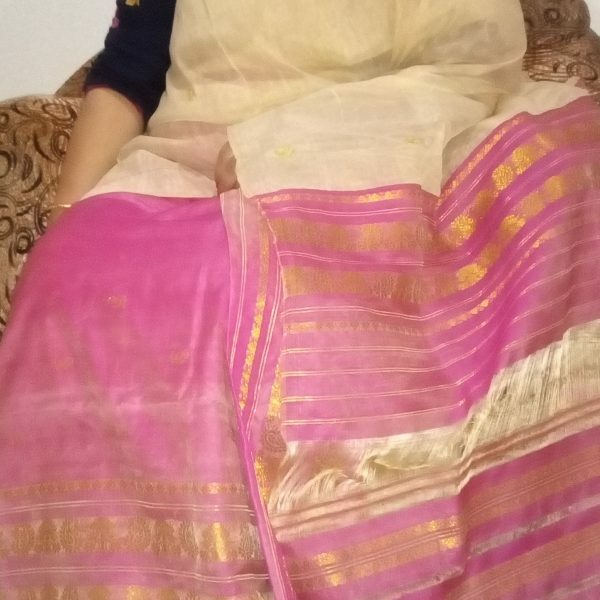 Sador’s body is in cream colour and aachal is in pink colour. 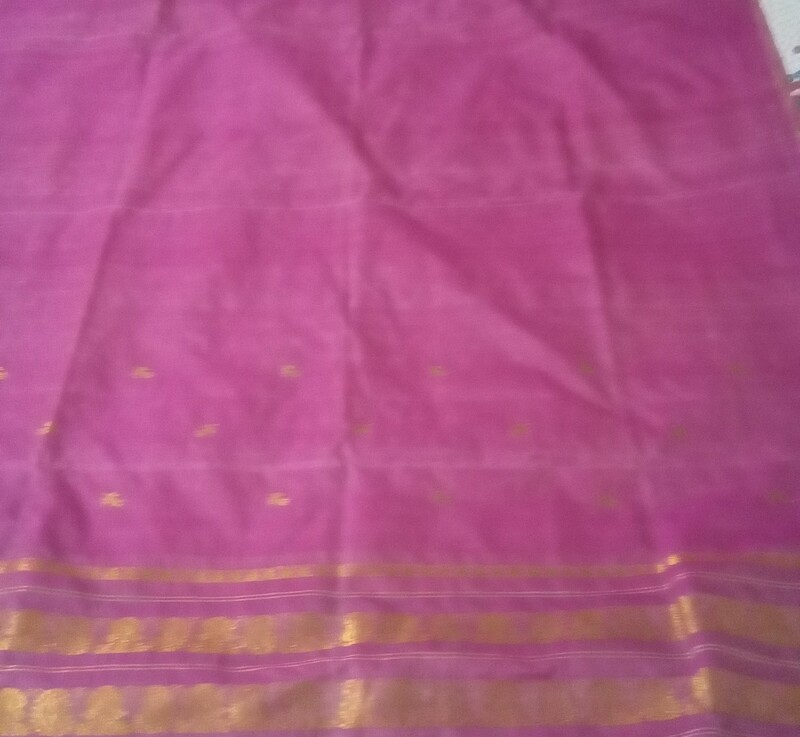 Mekhela and blouse is in pink colour.